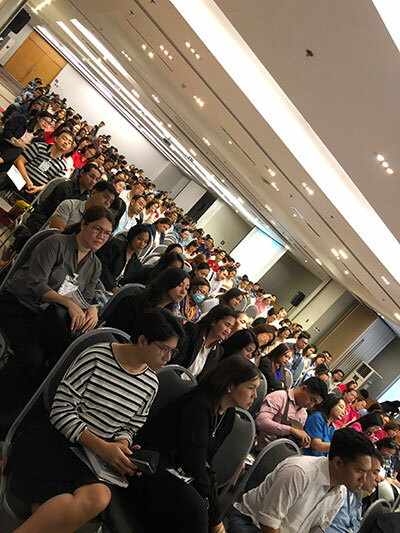 The Australian Institute of Packaging (AIP) recently ran 3x new educational seminars on packaging for over 600 people at the inaugural ProPak Philippines trade show. Powered by ProPak Asia, ProPak Philippines was truly the first-of-its-kind food, drink and pharmaceutical focused international trade exhibition for the regions rapidly expanding processing & packaging industries. The AIP educational program was developed and run by Ralph Moyle, FAIP, CPP, in conjunction with the organisers, and was designed to help businesses in the region to better understand packaging and the important role it plays in their business. A better understanding of the value and benefits to introducing new and innovative automated packaging systems into your business workshop. “We were also pleasantly surprised at how much interest there was in The Philippines for all of the AIP’s other educational offerings and there is a thirst for knowledge in the region that is extremely encouraging. The Institute has a responsibility now to ensure that we work with the local packaging organisations to develop a strong educational program that meets the industries needs in the future,” Mr Moyle said. The AIP looks forward to developing more educational offerings for The Philippines and will also be working with the organisers of ProPak Philippines to develop a new educational program for the 2020 trade show. ProPak Philippines 2020 is scheduled for 6 to 8 February.